The Kohler IoT Kit is a smart kitchen and bathroom solution, offering complete smart-home controls for all Kohler smart products, including intelligent toilets, bathtubs, showers, water filtration, heaters and faucets. 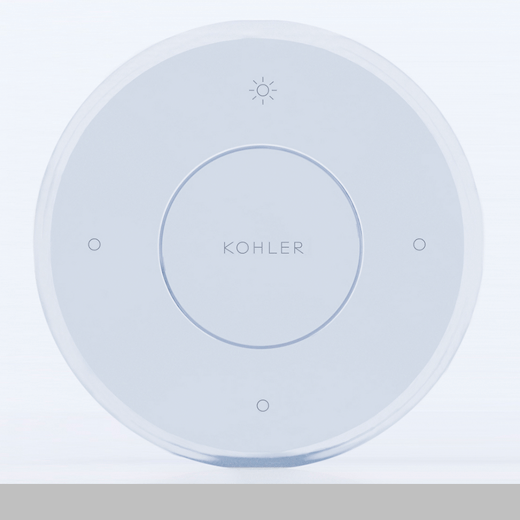 The Kohler IoT Kit includes the Kohler Box, motion sensor, flood sensor, and 1-way, 2-way and 5-way universal remotes, all of which are equipped with intelligent chips for users to preset with their favorite functions and which can be remotely controlled via the Kohler app. The Kohler IoT Kit is designed with an frosted housing and simple cosmetic-like appearance to complement your decor.